Shigeo Nagashima speaks during an interview with The Yomiuri Shimbun. The following are excerpts from an interview with Shigeo Nagashima, the Yomiuri Giants’ lifetime honorary manager. The Olympics, which come once every four years, are the top stage for athletes. In 2020, Tokyo will again host the Olympics and Paralympics. It is wonderful that we will be able to enjoy that inexpressible excitement once more and for the first time in half a century. During preparations for the Tokyo Olympic Games last year, problems related to the construction of a new National Stadium and the selection of an official emblem for the Games caused the public great distress. I, as a member of the public, felt that this was unfortunate. But I believe the mood will become more exuberant in one or two years. It was like that with the 1964 Tokyo Olympic Games. All of Japan was invigorated by the Olympics, and major development was achieved. I feel we will see something different in the second Tokyo Olympic Games. I’m really looking forward to seeing how Japan will change over the next four years. The Rio de Janeiro Olympic Games will be held in August. I have high expectations, particularly on gymnast Kohei Uchimura. In gymnastics, Japan’s national team has become strong. In swimming, there are many good young athletes. If they make a good showing in the Rio Olympics, they could perform well in the Tokyo Games. For young athletes, the Rio Olympics will have a much more significant meaning than usual. I’m also looking forward to the Paralympic Games [in Rio de Janeiro]. Wheelchair tennis players Shingo Kunieda and Yui Kamiji top the world’s ranks and we can expect gold medals from them. Since Kamiji is only 21 years old, I think she’ll be able to perform well in the Tokyo Paralympic Games. I believe such athletes experience many hardships when they try to achieve top-ranking results in world competitions despite their handicaps. Since I suffered a stroke in 2004, I have undergone rehabilitation for 12 years. When I go for a walk, I don’t just simply walk. I try to walk as fast as I can by pacing myself against a clock. During weight training, I try to lift as much as possible. I cannot make it sometimes, but I try not to feel bad about it. Instead, I retain a strong enthusiasm to move forward. Just like baseball, I’m doing these things as best as I can — even if it is only a little — and move forward. Olympic and Paralympic athletes are exerting themselves toward their big goals every day. If they win medals, they not only give people courage and vigor, but also make them feel the joy of living and offer great stimulus to the entire nation. This, I believe, is also the power and magnificence of sports. The 1964 Tokyo Olympics made me realize the importance of the Olympics for the first time. Wan-chan (a nickname for Fukuoka SoftBank Hawks Chairman Sadaharu Oh) and I covered many kinds of sports at the time under The Hochi Shimbun’s project “ON gorin wo iku” (“ON” go to the Olympics) [“O” stood for Oh and “N” for Nagashima]. I was amazed at how fast 100-meter sprinter Bob Hayes [of the United States] was. Marathon runner Abebe Bikila [of Ethiopia] did exercises as cool as a cucumber after he finished his race. Every day, I was moved by the awesomeness of sports and magnificence of the Olympics. I also met my wife, Akiko, at the Tokyo Olympics. She was a guide at the Games and entertained important persons from other countries. I have only good memories, both public and private. Baseball and softball will likely return to the 2020 Tokyo Olympic and Paralympic Games (see below). It was unfortunate that baseball was removed from the program after the 2008 Beijing Olympic Games. People concerned joined together to campaign for the sport to be brought back to the Olympics. Oh, yes, [Nagashima raised his left hand during the interview] I rejoiced a lot when it was proposed in September that baseball be added for the 2020 Games. There are many international competitions, but the Olympics are so special. I watched the 1984 Los Angeles Olympic Games, the 1988 Seoul Olympic Games and the 1992 Barcelona Olympic Games in those cities. For years, I had been on the sidelines as a supporter of the Olympics, but I actually was chosen to participate in the 2004 Athens Olympic Games by assuming the post of manager of the Japan national team, which comprised only professional baseball players. However, the Hinomaru national flag was heavier than I thought. In Asia’s qualifying tournament, which was held in Sapporo in November 2003, all the players and I sang the “Kimigayo” national anthem loudly. After the match began, I felt more pressure that I had ever experienced. The feeling was completely different from the time when I was the Giants’ manager. After I suffered a stroke, I worked exceptionally hard at my rehabilitation because I wanted to go to Athens. However, my doctor eventually refused to permit it. I regretted that I, the manager of the national team, was unable to go even though the players were doing their best. I’m really looking forward to the Tokyo Olympic and Paralympic Games. I hope they [Japanese athletes] will hoist many Hinomaru national flags and earn gold medals. This interview was conducted by Yomiuri Shimbun Sportswriter Koji Yamawaki. The Tokyo Olympic Games will be held from July 24 through Aug. 9, 2020. In addition to 28 sports to be contested at the Rio de Janeiro Olympic Games, the Tokyo Organizing Committee of the Olympic and Paralympic Games proposed to the International Olympic Committee the addition of five sports — baseball/softball, karate, skateboard, sports climbing and surfing — to the 2020 Games. Host cities can propose one or more sports for their Games. The Tokyo Paralympic Games will be held in 2020 from Aug. 25 through Sept. 6 with 22 sports, the same number as the Rio de Janeiro Paralympic Games. Born in Chiba Prefecture in 1936, Nagashima was the heart of the Yomiuri Giants and earned the nickname “Mr. Pro Baseball.” After retiring as a player, he became the Giants’ manager and won two Japan Series championships. 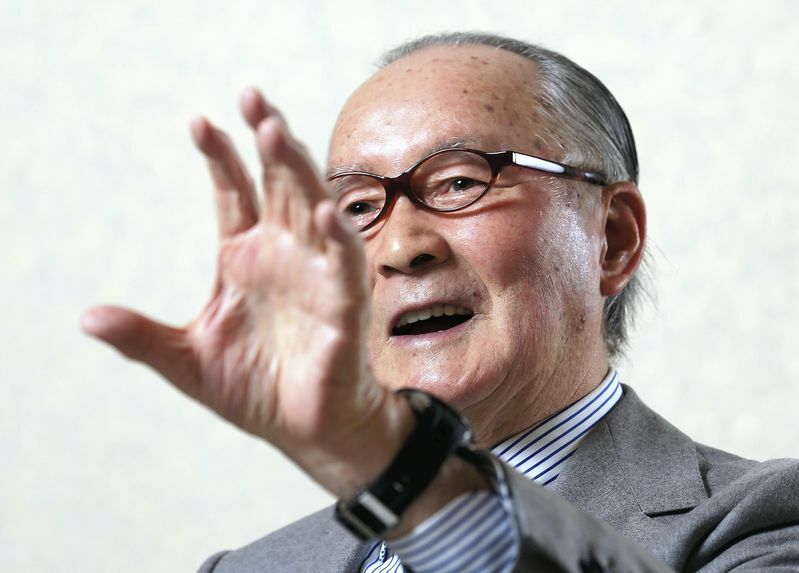 He assumed the post of manager of the Japan national baseball team for the 2004 Athens Olympic Games but was unable to take command due to a stroke he suffered before the Games.